Bray Apartments – Duggan Brothers Ltd. 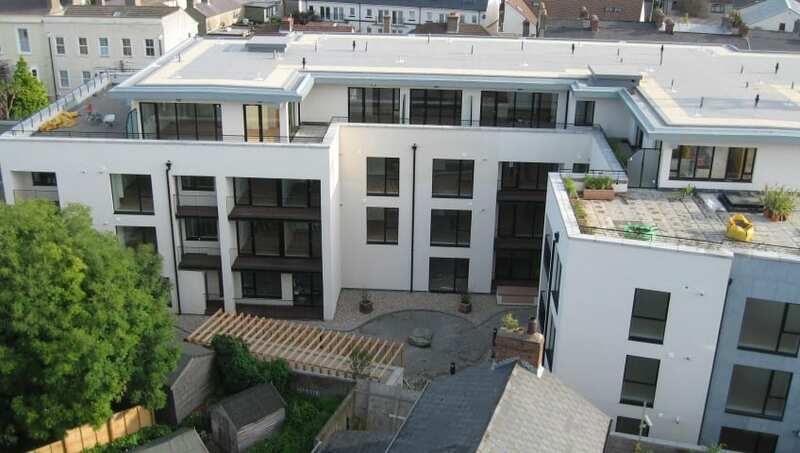 This project was carried out on a phased basis and consisted of 37 apartments and 6 retail units over a basement carpark. 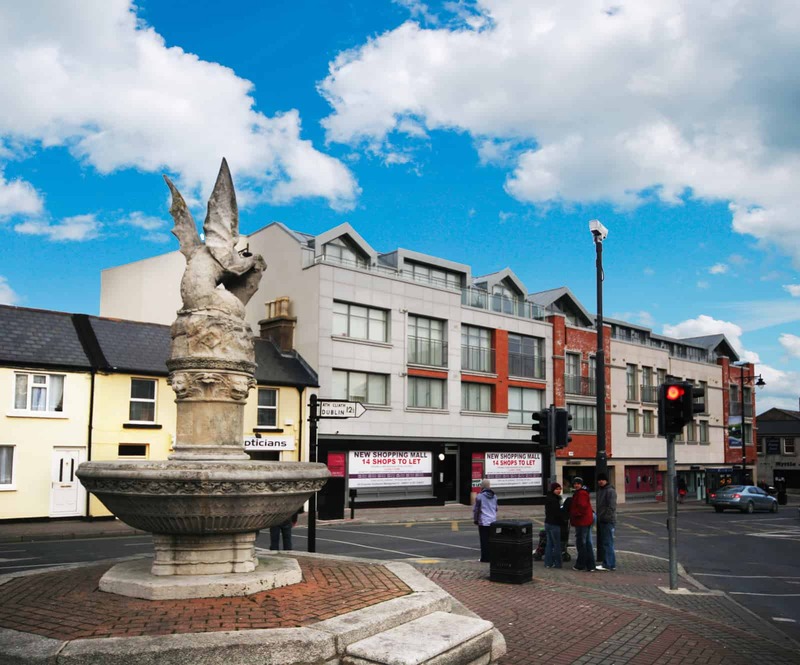 The site which was located along Main Street, Bray involved significant demolition and site development works including underpinning and temporary supports to adjoining buildings and CFA piling prior to constructing the basement. The building was designed as a reinforced concrete frame upto first floor level and load bearing blockwork with precast floor slabs up to roof level which was part formed using a with steel frame structure. The building facades were finished with granite and zinc cladding and brickwork with stone feature band and framing to the alu-clad windows. The project also incorporated prefabricated bathroom pods and extensive mechanical and electrical installtions and boasted a high level of finish for up-market apartment living. These included ebony stained mahogany joinery, designer wall paper and floor finishes throughout. A lot of attention was paid to the landscaped courtyard constructed off the podium slab to form a secure yet functional recreational area. This large area included raised planters, water features and extensive paving. 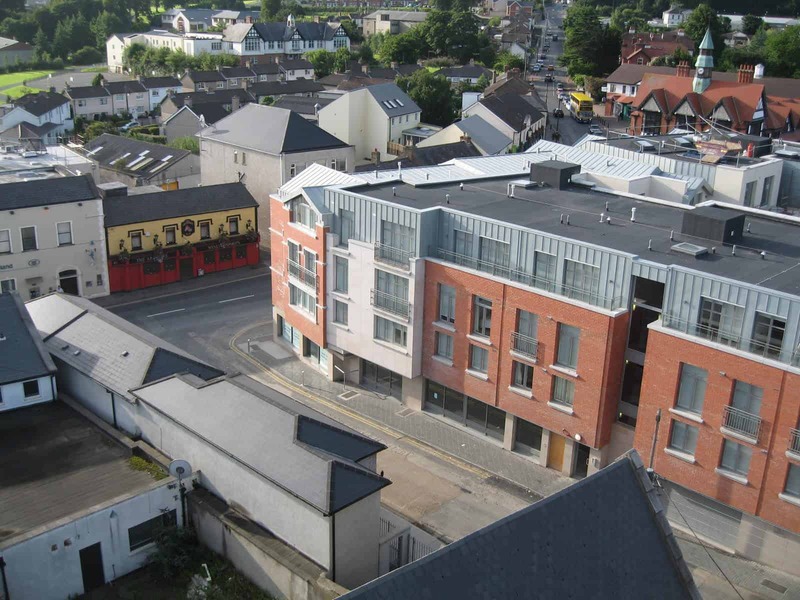 This development consisted of 34 apartments and 3 retail units over a basement carpark. The perimeter of the site was piled using CFA piles and some adjoining structures were underpinned prior to construction of the basement. The building structure which consisted of 4 stories over basement was designed using reinforced concrete walls and precast floor slab and the penthouse level was a steel structure with light weight timber frame construction. 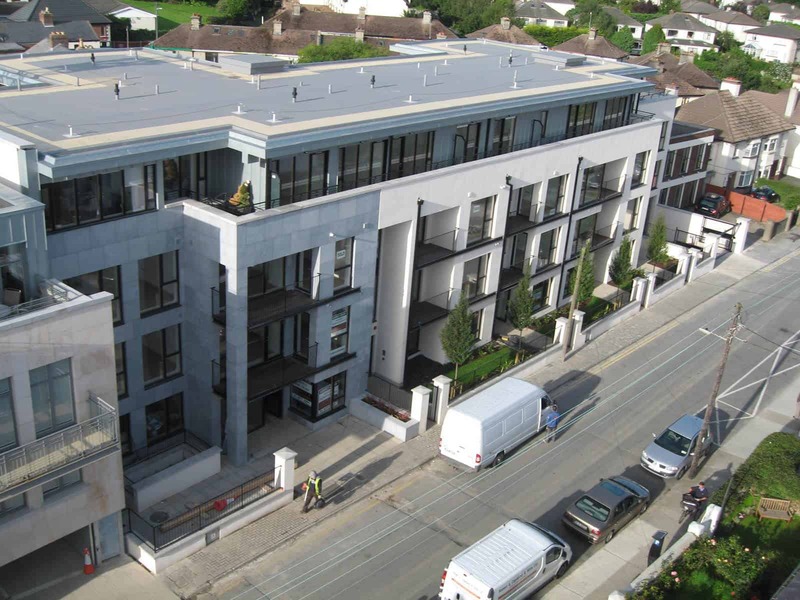 The external facades were treated with external masonry leaf and monocouche render or limestone and zinc feature cladding to certain areas. The windows were alu-clad throughout with aluminium shop fronts to the retail units. The internal finishes consisted of oak joinery and timber flooring. This project also included extensive mechanical and electrical installations. A landscaped courtyard was formed to the remainder of the site with timber pergolas, stone water feature and extensive paving to provide recreational areas for the residents.